Place the Windhorse anywhere in your home or workdesk to bring success and victory luck, to protect against hostile energies and to bolster your inner vitality and good fortune. 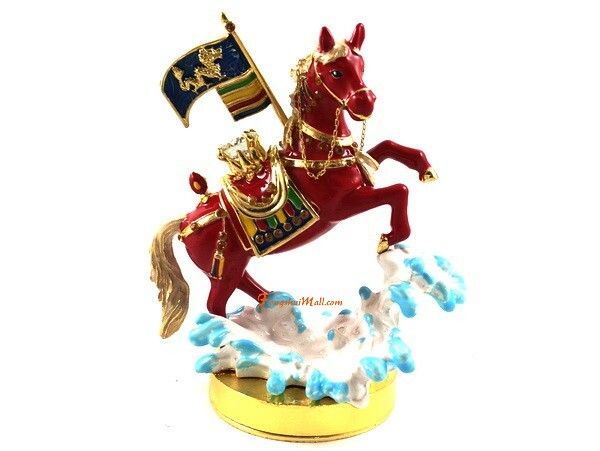 This beautiful red wind horse carrying a wish-fulfilling flaming jewel and a victory Dragon flag on its back is depicted flying over a "Sea" of obstacles to bring victory and success luck! 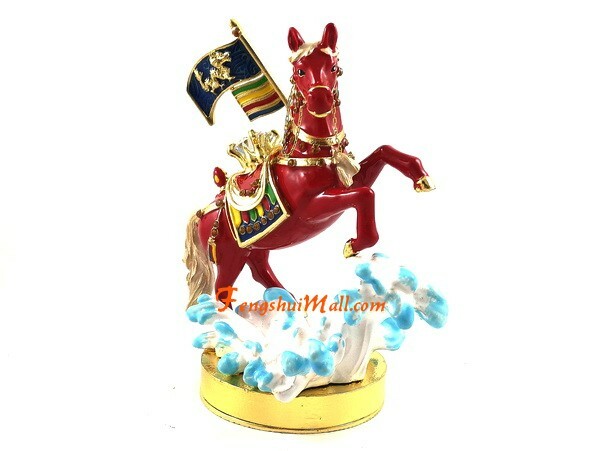 Display it on your desk to invite victory, thriumph and prosperity luck. Your Success Luck or Lung Ta is dictacted by your annual Windhorse reading, which varies from year to year and for people with different horoscope signs. When your Windhorse luck is strong, success comes easily. When it's weak, unexpected bad luck can strike any time and you find it hard achieve anything, even with hard work. Placing a figurine of the Wind Horse helps to make up for any residents' weak personal Wind Horse in the house. 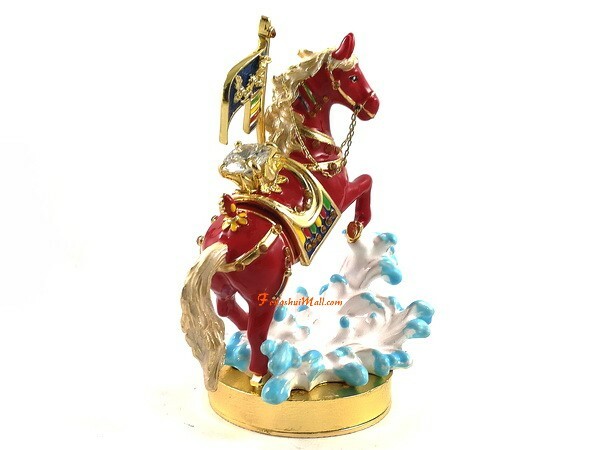 This horse is a representation of wealth, good fortune, nobility, control, stability and vitality. 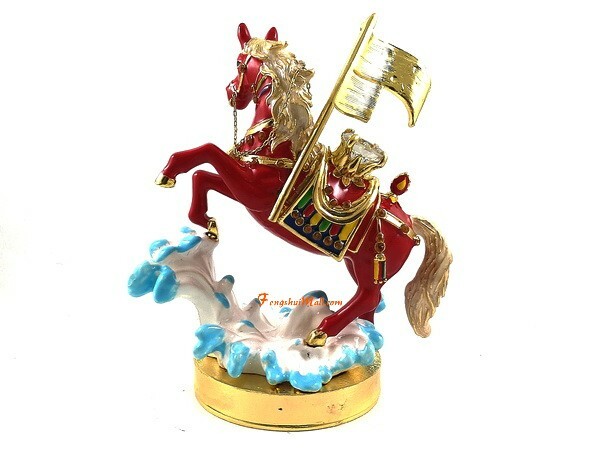 Because the Horses are an icon of authority, endurance and perseverance, they are a highly regarded auspicious symbol in Feng Shui, allowing the beholder to sprint stably through any obstacle in the journey of life.